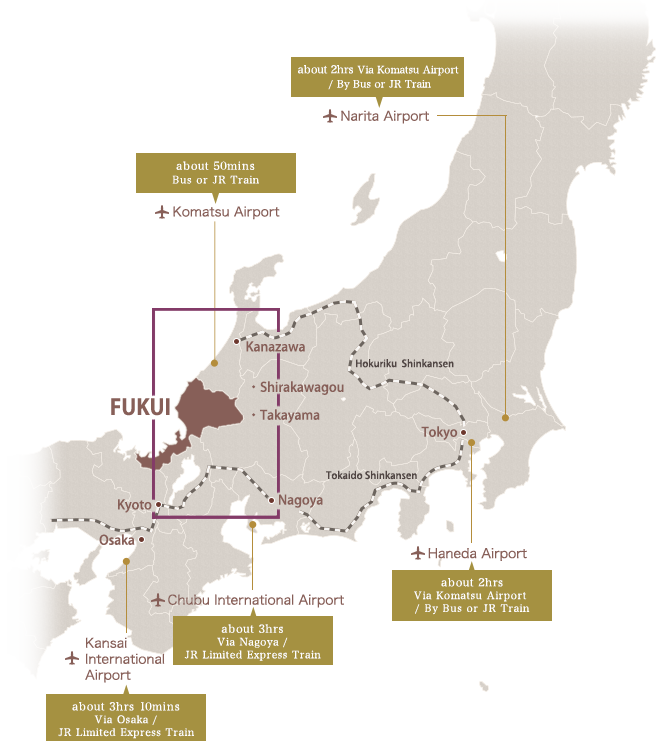 Easy access from Kansai, Chubu, and Hokuriku areas. Please enjoy a pleasant journey. 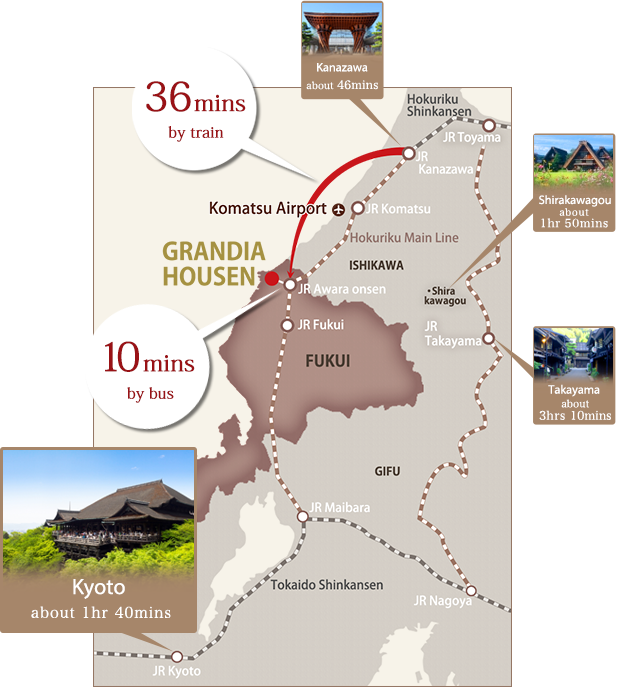 A complimentary shuttle bus runs daily from JR Awara Onsen Station to Grandia Housen. Advanced reservations are required for the shuttle bus. Please contact us for details. Copyright "GRANDIA HOUSEN" all rights reserved.